Do We Need a Government-Build HLV? Why in the world is NASA developing its own supersized rocket when no fewer than three private companies already have one on the drawing board? Take years longer than estimated to complete. Cost taxpayers billions more dollars than advertised. Fly with less capability than originally envisioned. Unless, of course, the government changes the way it deals with contractors on those kinds of projects.The difference that is being pushed under the new “commercial” space approach is not that NASA is using different companies. It’s that NASA is employing a different way of paying those companies. NASA will pursue a $3.1 billion new heavy lift research and development program, focusing on propulsion technologies, over the next five years. 其实还有很多没玩：Space Tug, Propellant Depot, GEO 上维修卫星， 到 Sun-Earth L2 转一圈。也不一定需要 HLV. "To date, trade studies performed by the Agency have yet to identify heavy-lift and capsule architectures that would both meet all SLS requirements and these goals. 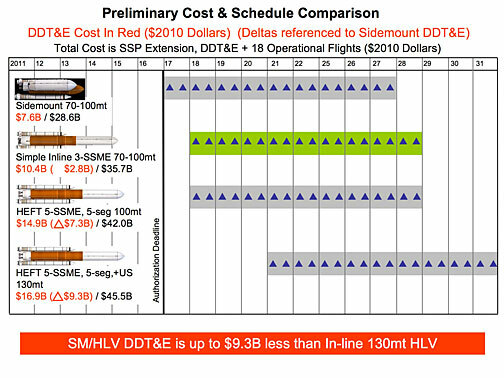 For example, a 2016 first flight of the SLS does not appear to be possible within projected FY 2011 and out year funding levels. ... However, to be clear, neither Reference Vehicle Design currently fits the projected budget profiles nor the schedule goals outlined in the Authorization Act. .... none of the design options studied thus far appeared to be affordable in our present fiscal conditions, based upon existing cost models, historical data, and traditional acquisition approaches. ..."
"We appreciate NASA's report and look forward to the additional material that was required but not submitted. 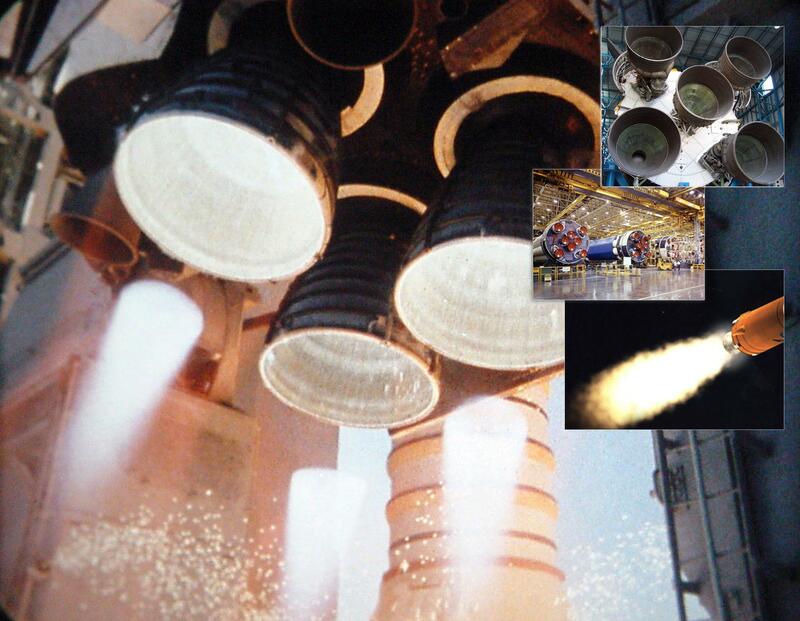 In the meantime, the production of a heavy-lift rocket and capsule is not optional. It's the law. NASA must use its decades of space know-how and billions of dollars in previous investments to come up with a concept that works. We believe it can be done affordably and efficiently - and, it must be a priority." GMT+8, 2019-4-22 08:37 , Processed in 0.280801 second(s), 19 queries , Gzip On.